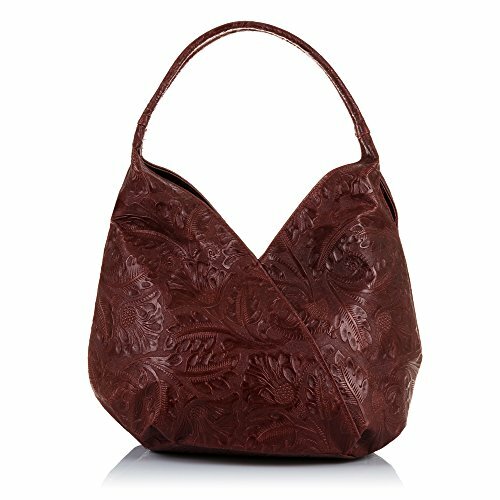 Leather bag Camoscio with floral engraving and lacquer finish. 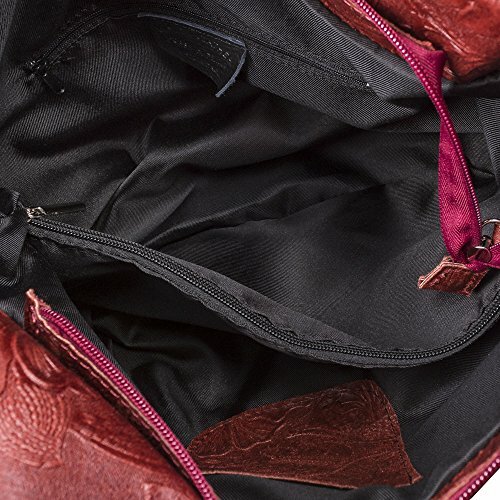 Main compartment and side pocket on the front with zip closure. 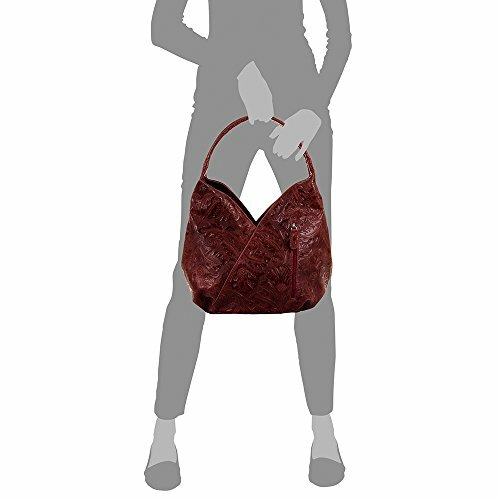 Interior lined in fabric, with central divider with pocket, closure by zip with a pocket with leather closure by zip and open pocket on the other side. 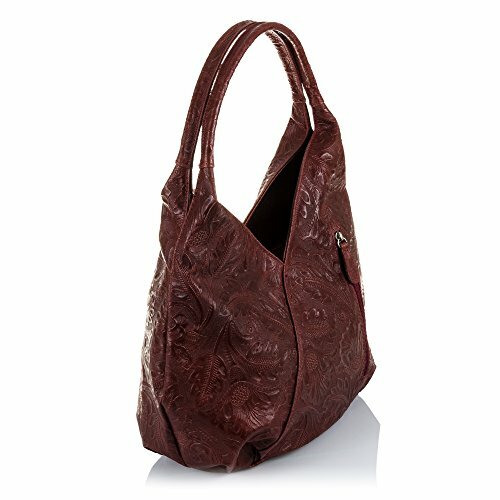 Features two long handles and flexible and then in the same finish as the rest of the bag. 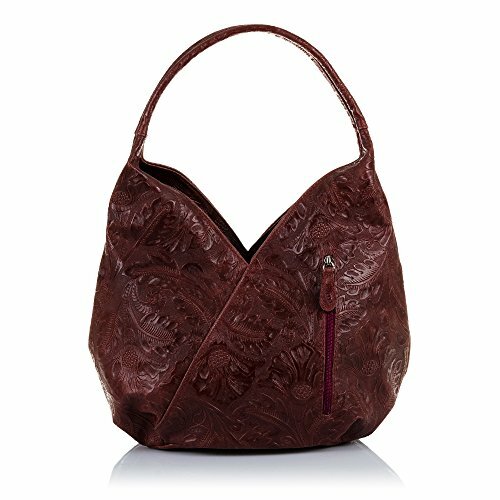 Made in Italy Italian Vera Pelle.